There are only few big shopping malls in Gujrat city, Sarwar Gold Plaza is one of the best Shopping Mall in Gujrat. 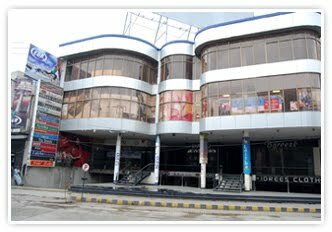 Sarwar Gold Plaza is located on a very prime location on Katchehary Road near Timbel Chowk Main Bazar. It is located nearly in the center of the city. Chaudhary Saleem Sarwar Jaura, son of Chaudhary Muhammad Sarwar Jaura is the owner of the Sarwar Gold Plaza. Name of the plaza was given after the name of Chaudhary Muhammad Sarwar Jaura (late) Ex. MPA and a famous PPP leader.